ZENY Heavy Duty Height Adjustable Multi Functional weight workout stand is perfect for Home and Office Gym. High Quality:Special steel pipe, stable and long lasting.Solid support and with no-slip end caps. Perfect to use for weightlifting, the included bar catches can be used to assist while performing squats, dead lifts, curls, etc. 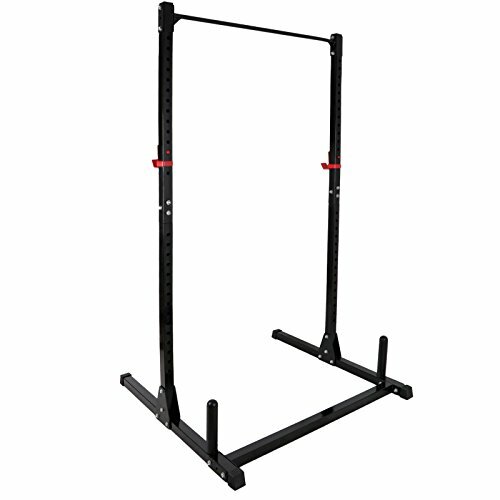 The reinforced overhead workout bar can be used for bodyweight training such as pull-ups, chin-ups, leg raises, and more. If you have any questions about this product by ZENY, contact us by completing and submitting the form below. If you are looking for a specif part number, please include it with your message.